The transition to kindergarten can be a tough one for both children and their parents. To make the transition as easy and fun as possible, you want to make sure your child is prepared! Your teacher will probably provide a list of necessary school supplies, but in case you’d like a head-start, here’s a list of the must-have items for any incoming kindergartener! It may go without saying, but your child needs something to hold all of their supplies in! In addition, having a cool backpack can help your child feel confident and excited to begin this new experience. They may want a backpack with their favorite color, television character, or more! Check out these bags from Amazon for a starting point. It’s every kid’s favorite time of day: lunch time. Whether you give them a PB&J sandwich, fresh fruit, or Lunchables, your child will need a lunch box to carry it in! Again, this accessory can be customized to your child’s likes to make them even more excited for lunchtime – and maybe even get them to eat those veggies you’ve snuck in! Not just for pencils! A pencil case is a must-have supply for any kindergartener. Inside they can keep everything from the obvious (pencils) to markers to crayons to erasers. There are some super cool designs out there, so find one that fits your child’s personality and is large enough to suit their needs! Notebooks are an essential supply for kids of any age! They can be used to take notes, doodle, draw pictures, or pretty much anything else. There are many different kinds, too – spiral, composition – so make sure to talk to your child and their teacher to find the best kind for their needs. 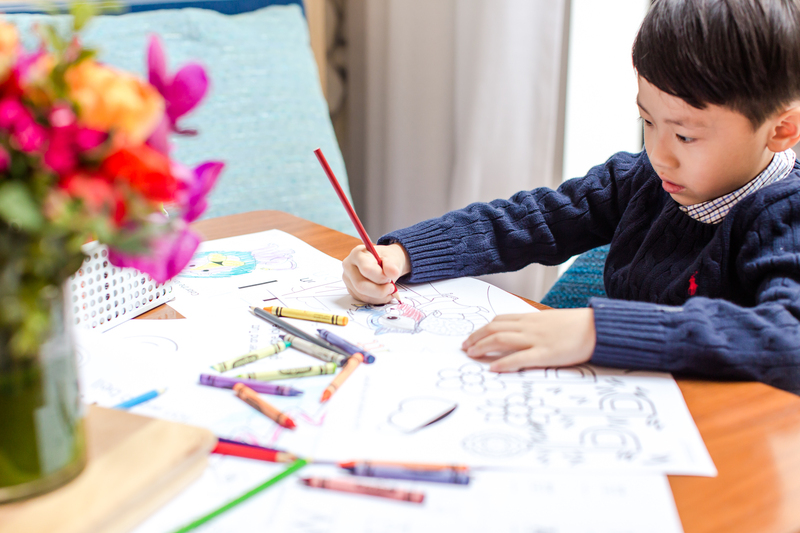 Your child will need something to hold all of their assignments, drawings, notes home – folders are the best way to go to keep everything organized! Again, there are many different types, so choose the best for your needs. Plastic folders tend to last longer (especially in the rough environment of a kindergarten classroom), but can be a bit more expensive. In addition, you’ll probably want multiple folders for your child – one for writing, one for math, one for notes home, etc. Make sure you plan and get plenty of folders – perhaps in different colors! Writing utensils are another staple in the classroom. Your child will probably use pencils more than pens, so make sure you get more of those. Make sure they’re #2 – they’re the best and are required for some standardized tests. Also, don’t waste your money on the pencils with glitter and feathers and designs – stick with the basics. Dixon Ticonderoga is the go-to brand for us, but feel free to experiment a bit. Don’t forget – Homer is the perfect tool for giving children a head start on their learning. Homer’s award winning program features over 1000 lessons in history, science, art, animals, transportation, the human body, and more! The Homer #1 Learn-to-Read Program cultivates a love of reading and is easy to use! Begin your Homer membership today! School supply shopping can be a fun time for you and your child, but don’t go overboard! When in doubt, ask your teacher and consult the list they provided. Get the necessary supplies, but remember – you can always come back and get more. Have fun and happy learning!